Refreshing compresses to soothe tired eyes, lovely to use as a treat in conjunction with one of our mask. Eye Revive cares for all skin types and conditions. Offering refreshment to tired or red eyes, this soothing herbal solution reduces the appearance of puffiness in the skin around the eyes. Eyebright, anthyllis and chamomile extracts soothe sore, reddened, overtired eyes; refreshing and resting any eye irritations, bringing relief to those with eye strain and allergy sufferers. 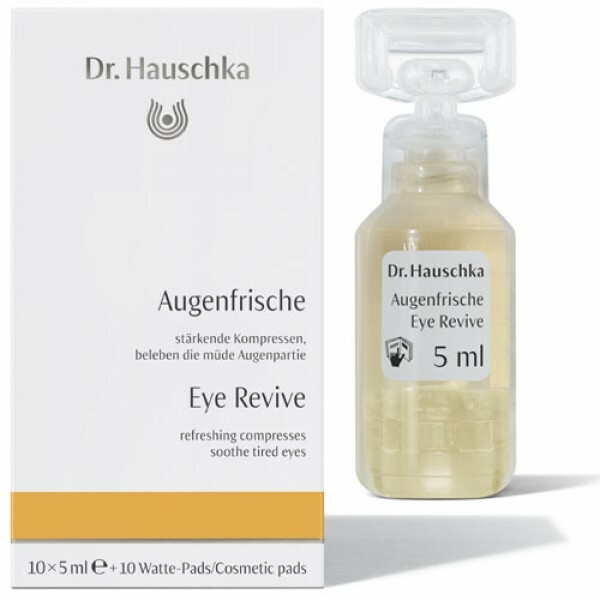 Formerly known as Dr Hauschka Eye Solace. Pack contains enough for 10 treatments.